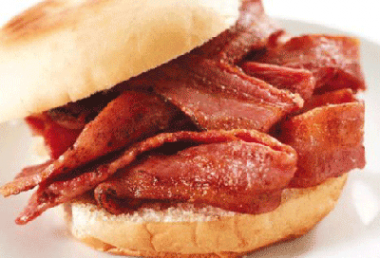 The NPA has allayed fears of a ‘bacon butty crisis’, but has stressed that the cost of producing pigs will be hit by the summer drought. The Sun and the Daily Star, on its front page, both ran headlines this week warning of a shortage of bacon butties. The stories were based on research by consultancy CEBR predicting that meat, vegetable and dairy prices are set to rise by ‘at least’ 5% in the coming months, costing consumers about £7 extra per month, due to this year’s extreme weather. This included an observation that the heat has reduced the fertility of pigs and contributed to an 8% rise in piglet prices since March. NPA senior policy advisor Georgina Crayford said: “While heat does affect pig fertility, the impact of this summer's weather is yet to be seen. But it is very unlikely that it will be enough to result in shortages of bacon butties or any other pork products. “In fact, a much bigger cause for concern among pig producers is increased feed and straw prices as a result of the drought, which is raising the cost of pig production. “It is also worth pointing out that we are less than 50% self-sufficient in pigmeat and any deficit in domestic production resulting from the summer drought is likely to be filled by imports anyway. “The reality is that the nature of our post-Brexit trading arrangements, particularly in the event of a ‘No Deal’, will have a far greater influence on the future price and availability of pork products in this country than this year’s weather.